Nanotechnology Now - Press Release: FEFU scientists reported on toxicity of carbon and silicon nanotubes and carbon nanofibers: Nanoparticles with a wide range of applying, including medicine, damage cells of microalgae Heterosigma akashivo badly. Home > Press > FEFU scientists reported on toxicity of carbon and silicon nanotubes and carbon nanofibers: Nanoparticles with a wide range of applying, including medicine, damage cells of microalgae Heterosigma akashivo badly. 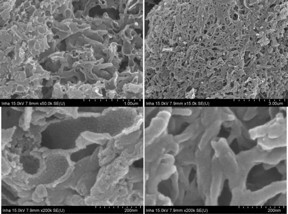 FEFU scientists reported on toxicity of carbon and silicon nanotubes and carbon nanofibers: Nanoparticles with a wide range of applying, including medicine, damage cells of microalgae Heterosigma akashivo badly.